We can pop the top on convertible cars to let in fresh air and sunlight. Wouldn’t it be amazing if we could do the same to our homes? 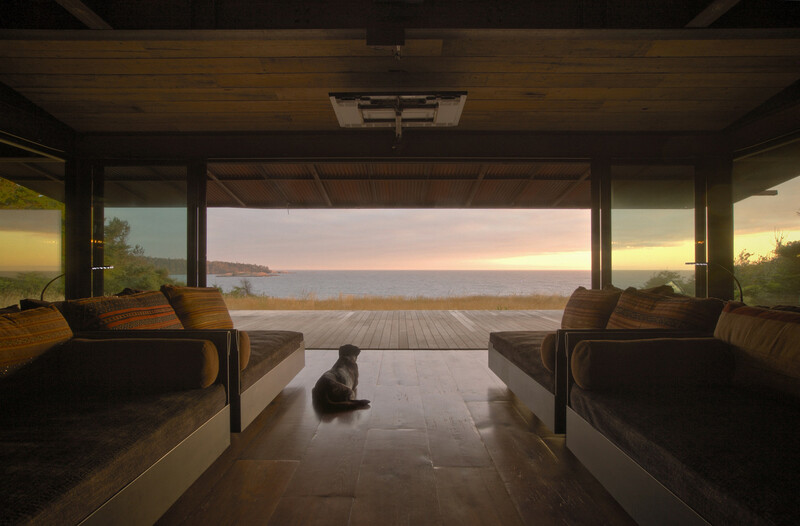 Most of us might never live this dream, but the lucky inhabitants of one beautiful house in Washington State’s San Juan Islands can do just that. 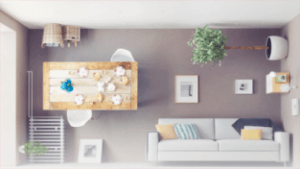 While it’s not unusual for homes in more tropical locales to be permeable to the air, this is a unique way to modify the indoor outdoor lifestyle for cooler climates. 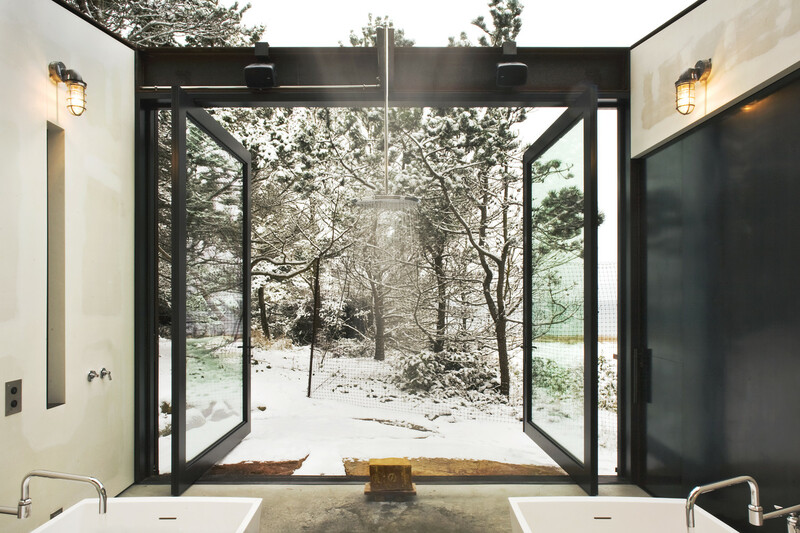 Olson Kundig Architects are renowned for subtle, landscape-suited works of regional architecture, but this one comes with a unique twist: a bathhouse with an operable roof that opens like a vertical garage (only far more elegant). 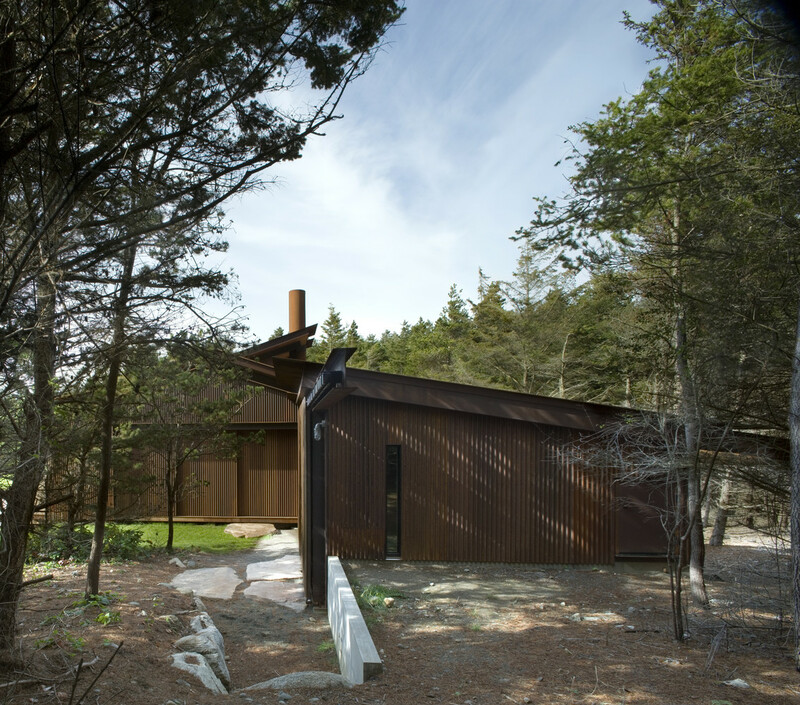 The Shadowboxx dwelling is largely compact, symmetrical and perhaps somewhat Prairie Style (and/or Japanese) in its focus on horizontals, windows and fit within its surroundings. 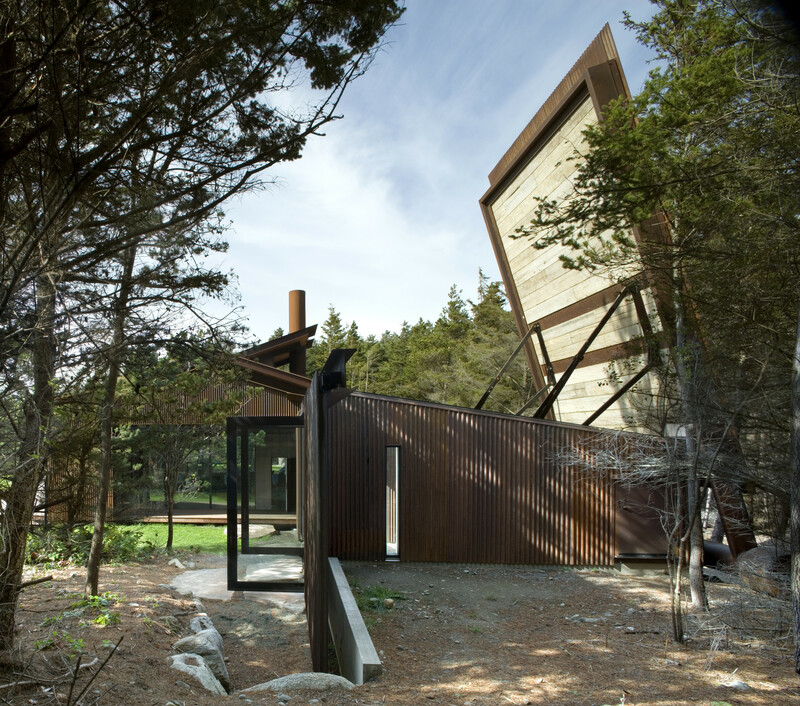 Situated next to the main structure is a smaller bathhouse, where an operable roof allows access to vertical views and the elements, turning it from an indoor to and outdoor space on demand. 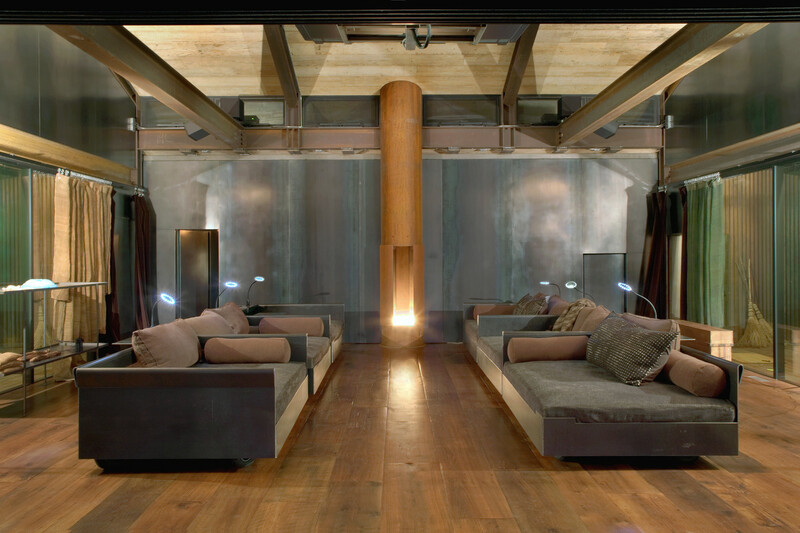 Loving the understated beauty of Olson Kundig’s signature organic architecture style? 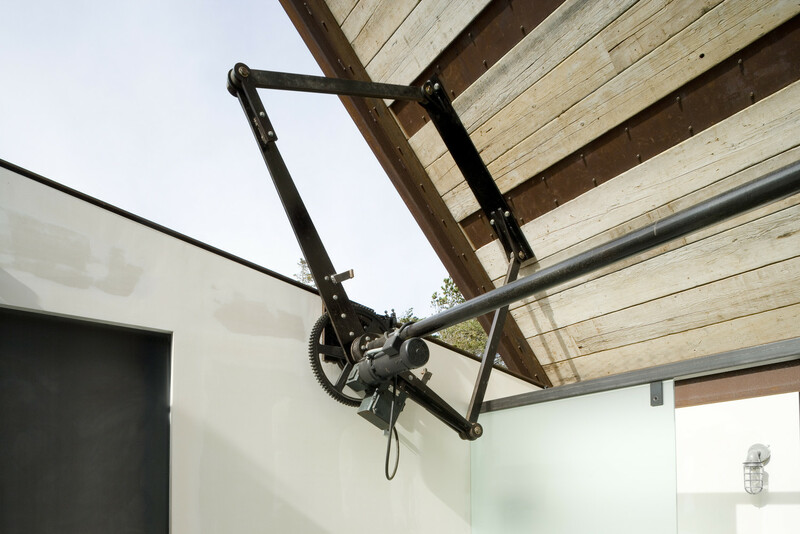 There’s lots more offbeat architecture where the Shadowboxx House came from. 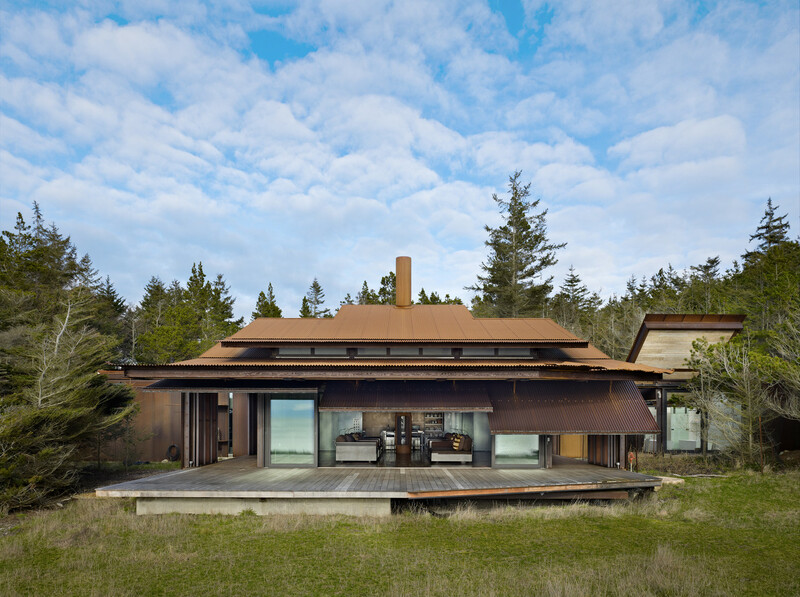 Check out architect Tom Kundig’s own home, the constantly evolving Cabin at Longbranch, the firm’s quirky rolling huts and the rugged Delta Shelter.